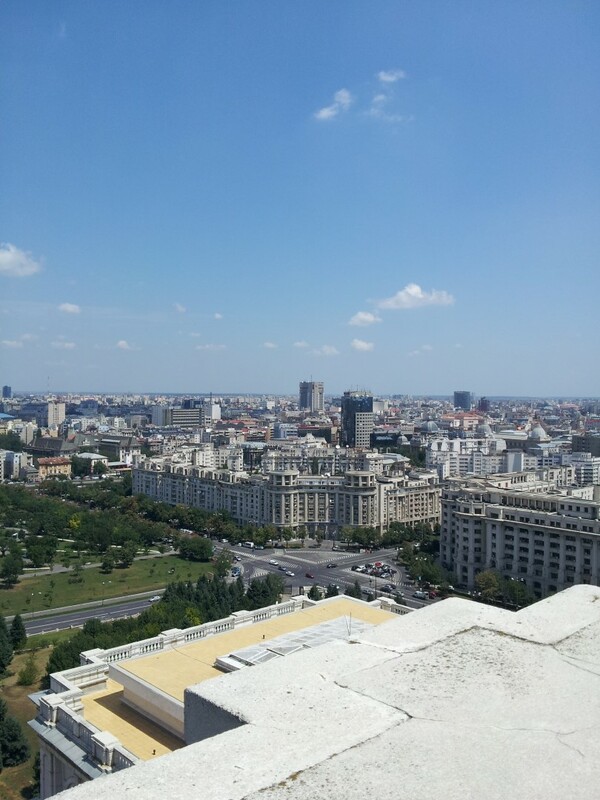 Sara and I both arrived in Bucharest, the capital of Romania, separately after long flights from Boston and London. We were fortunate that several PointsBreaks nights at the Intercontinental opened up, which gave us a chance to unwind and beat the jet lag. Plus the hotel was in a great location in the center of town, so we’d be close to all of the sites in Bucharest (which, as you’ll see, was not many). We also had a great view of the city (which, as you can see on the right, was not much). We came to Romania mainly to see the Transylvania region in the country’s north, so Bucharest wasn’t a big highlight for us (it was just the easiest place to get flights). 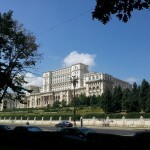 We spent a day or two wandering around the city, walking through the old town (really just several touristy restaurants and shops) and visiting the main site, the Romanian parliament building. Parliament from the outside. This is from really far away – it would take over an hour to walk the perimeter. The ballroom. Supposedly the skylights open so a helicopter can land inside. 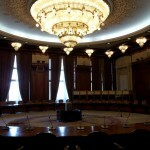 The room where the communist leaders meet, now called the Human Rights room (irony not lost). Notice the amazing chandelier. While impressive, the whole building is kind of a sad statement about how things were during the communist times, and seems to stand as a symbol for the Romanian people about their distrust of their government for the waste and corruption they see daily. So, on an upbeat and rather surprising note, we ate really well while we in Bucharest. Our favorite was Beca’s Kitchen, which is ran by a former investment banker turned restaurateur who was super nice and her food was delicious. The street food was also pretty good, with tasty pastries and pigs-in-a-blanket. Regardless of the food and comfy hotel, we were really after four days to head out of town and to Brasov, the tourist center of Transylvania and the home of its most famous resident, Dracula. 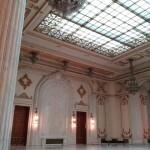 This entry was posted in Romania. Bookmark the permalink.